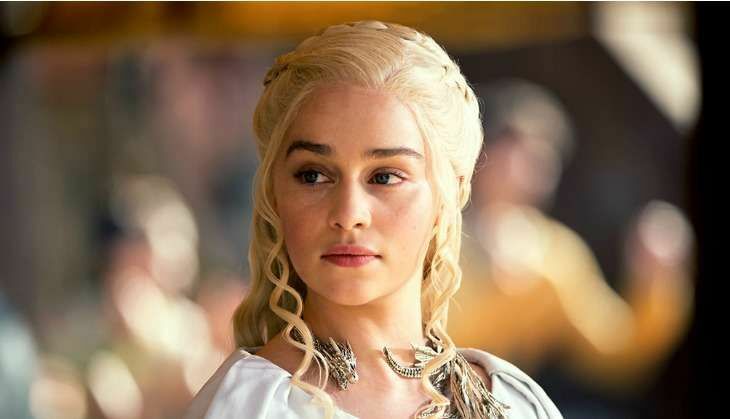 From dragons to a futuristic science fiction cult classic, our Khaleesi is sure going places. Through the official Star Wars website, Disney has announced that Game of Thrones actress Emilia Clarke will be joining the cast of stand-alone Han Solo movie that has Alden Ehrenreich playing the title smuggler. Details about her role in the as-yet untitled Star Wars film is still kept under wraps, but the site has shared that her role "will round out a dynamic cast of characters that Han and Chewie will encounter on their adventures". The studio earlier eyed the likes of Tessa Thompson, Zoe Kravitz and Naomi Scott as the female lead, before the role finally went to Clarke. In the upcoming movie, the British actress will also join Donald Glover, who has been tapped to play Lando Calrissian. Directed by Phil Lord and Chris Miller, with screenplay by Lawrence Kasdan and his son Jon, the shooting of the film might begin early next year - with an eye on a 2018 release. Clarke is currently filming the seventh season of HBO and GRR Martin's magnum opus, Game of Thrones, which only has two seasons left before the finale. Clarke, who plays Daenerys Targaryen on the show, will be returning to her homeland to take back the Iron Throne in the upcoming season which will air sometime during the summer of 2017. Yes, that's literally all the information there is on that. Winter has come and soon our watch will end.